A recent article in The New York Times discusses the impact of a physician’s demeanor on health outcomes. 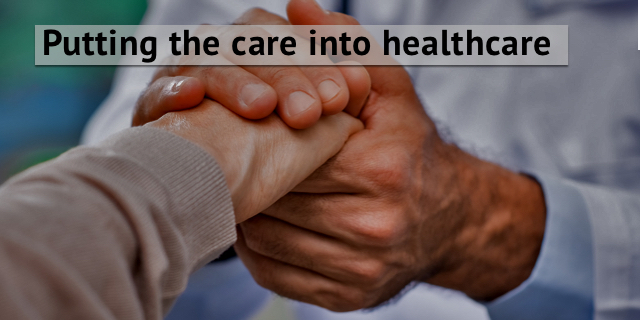 In a series of experiments, the authors, Lauren Howe and Kari Leibowitz two social psychologists at Stanford University, tested the notion that the “care” element of healthcare matters to how patients respond to treatment. In one of their experiments, two providers performed histamine skin pricks as allergy tests. One provider acted warm and competent in a well-kept lab while the other kept her eyes glued to her computer and fumbled over certain procedures in a unkempt lab. They both handed their patients a lotion which they told the patients were antihistamines to take care of any itching. In reality, the patients were given a placebo. Later, the researchers found that the patients who were seen by the warm and competent provider had reduced allergic reactions. The placebo had no effect on the patients who were seen by the aloof, less competent provider. The researchers also noted that it didn’t take much time to manifest this kind of positive health outcome. Eye contact, speaking to someone by their name and projecting warmth was all that was needed. Read more about these studies in “Can a nice doctor make treatments more effective?” What do you think? Do you believe that the way a provider acts makes a difference in your health? Please comment below. This year, Medivizor has been named one of 2018 Global Digital Health 100. This award program recognizes “health technology companies that are demonstrating the greatest potential to change the way that healthcare is delivered.” We are honored to be included.